Quanztyd, a leader in test automation software, founded by veteran Microsoft executives today announced the launch of Sofy.ai, a new AI powered automated testing BOT that can test Android and iOS applications without any test automation scripts. Sofy is a trainable testing BOT powered by advanced algorithms that were developed by Quantyzd over the course of last year while offering testing services to dozens of customers such as Microsoft and Turkish Airlines. Bellevue, WA, January 17, 2017 –(PR.com)– Quanztyd, a leader in test automation software founded by veteran Microsoft executives today announced the public preview launch of Sofy.ai, a new AI powered automated testing BOT that can test Android and iOS applications without any test automation scripts. Sofy is a trainable testing BOT powered by advanced algorithms that were developed by Quantyzd over the course of last year while offering testing services to dozens of customers such as Microsoft Office, Microsoft Azure and Turkish Airlines. 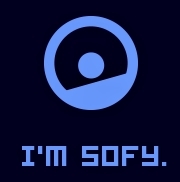 Sofy has been in private beta for the last six months and is now available in public preview. “As any mobile app developer knows, any changes in the app need to be tested on multiple devices and platforms,” said Syed Hamid, CEO of Quantyzd. “For every minor change, developers have to modify the test automation scripts, which leads to delays in shipping mobile apps and is an inefficient use of expensive developer time. WIth the advent of machine learning, there is a tremendous opportunity to use advanced AI driven BOTs to help mobile app developers deliver high-quality apps faster,” continued Hamid. “Having Sofy as part of our team has helped to improve the quality of our project. Sofy has not only provided insight into previously unknown issues, but has also been a champion for highlighting issues that were not yet resolved during the engineering cycle,” said Mohsen Moini, Engineering Manager at Microsoft Office team. Developers can test drive Sofy for 30-days without any charge. Sign-up for your Sofy account at http://sofy.ai. Sofy.ai is created with the mission of improving testing through the use of artificial intelligence. Sofy is an intelligent testing BOT that is trainable. It gives you the tools to test mobile apps across different mobile platforms and devices. With Sofy, you can allow your team to focus on iterative app development, manage a portfolio of apps, and understand how you stack up against your competition. To learn more, visit http://sofy.ai. Quantyzd was founded with the core idea of helping software developers refine their applications for success. Quantyzd helps developers deliver better mobile apps by reducing testing needs and increasing efficiencies in the mobile app development process. Quantyzd customers include Microsoft, Turkish Airlines, Caradigm and Seattle App Lab among others. To learn more, visit http://quantyzd.com.